By the nature of things for the most part, concepts are evaluated. And a bit of perspective. as it is most frequently told, is an engaging tale of intellectual turbulence in the early decades of the twentieth century. The computer grew out of dramatic upheaval in the fields of mathematics and logic, not unlike what was happening at the same time in physics, politics, and the arts. In this paper, we shall examine the origins of the computer from the perspectives of two competing world views, which we will call “Mechanism” and “Romanticism”, after Dahlbom and Mathiassen (1993). Although the computer is considered the crowning achievement of the former of these, we shall see that, ironically, it was inspired by a discovery that represented, in a sense, a major setback for the Mechanistic mode of thinking. I would like to suggest that this misunderstanding (or rather non-understanding) does not make it non-true.¹ Many educated people do know that Gödel’s theorem(s) is important even portentous. But somehow – like war – Yeah its bad but not my problem. A fever is raging in the town. Do we need to start having a fever and swelling in the armpits to change our minds? 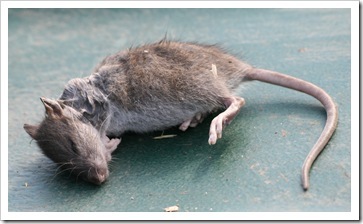 Gödel’s theorem is a dead rat in plague infested town. In the 1930s, people understood this. Somehow now everyone has forgotten. This post is to remind of these well-known and more well-forgotten facts. which is true if its false and false if true, Gödels theorem maps out the large gulf between what is provable and what is true. Richard O'Keefe of Otago whose quote I started FP Timeline with, wrote me some rather detailed comments about history which have interesting titbits of info. In my last post, I gave a functional programming time line in the last 50 years. Now I'll look at two things: The place of functional in ACM Curriculum 2013 and how C has messed up the notion of functional. Rob Hagan at Monash had shown that you could teach students more Cobol with one semester of Scheme and one semester of Cobol than you could with three semesters of Cobol. Well that was before Functional Programming hit the headlines. These days FP is quite a buzzword. Is this for good or bad? If real world ≡ good well then Scala and Clojure and Erlang and Haskell becoming more and more 'real world' is a wonderful thing. If what is good is understanding, then I am not so sure. Many things about programming, pedagogy and programming-pedagogy that were widely understood in the 1970s and 80s have mysteriously become un-understood today. However in this darkening of the age there are some glimmers… eg ACM's 2013 curriculum. In this post I would like to delineate a timeline of the semantics and significance of Functional in the last 50 years. In subsequent posts I'll try to deconstruct how the semantics has shifted around in this time. Can God make a stone so heavy that he can't lift it? Can God compute the uncomputable? If he can, how is it uncomputable? If he cant, how is he God? And like record players what about programming languages whose abstractions can be arranged to break the language? Structure is good because it reduces breakage; its bad because it imprisons us into precooked forms. Following I explore the space between poverty and universality; a space which for want of a better word I will simply call structure, the most elusive being the structure of syntax. Wait!! What does this have to do with programming? Or even computer science?? Sounds like angels-on-the-head-of-a-pin philosophy No?? NO! CS came into existence because of this question! In my last post, I wrote about two sides to unicode — a universal side and a babel side. Some readers while agreeing with this classification were jarred by a passing reference to ‘gibberish’ in unicode⁵. Since I learnt some things from those comments, this post expands that classification into these¹.